Scalding Tarn. 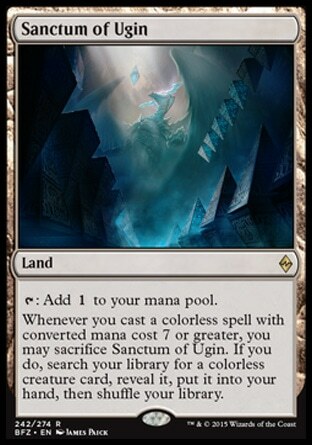 (c) 2013 Wizards of the Coast. If you haven’t yet noticed, Wizards of the Coast wants you to play Modern. They’ve dedicated a PTQ season for it. 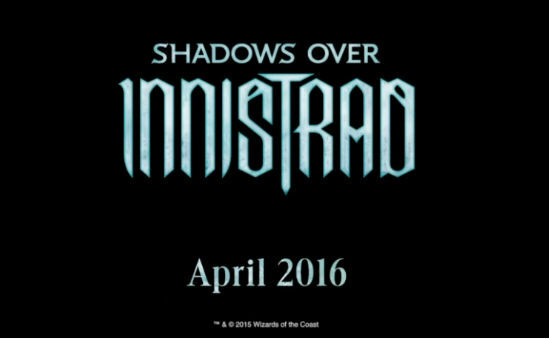 There is a special limited release product of Modern-format staples due out this year. It’s a regular format for Grand Prix and Pro Tours alike. The reasoning is simple: people want a non-rotating format they can afford. Legacy players spend years perfecting their play with one deck without worrying about it being illegal in just a few months. But the barrier to entry is extremely high. 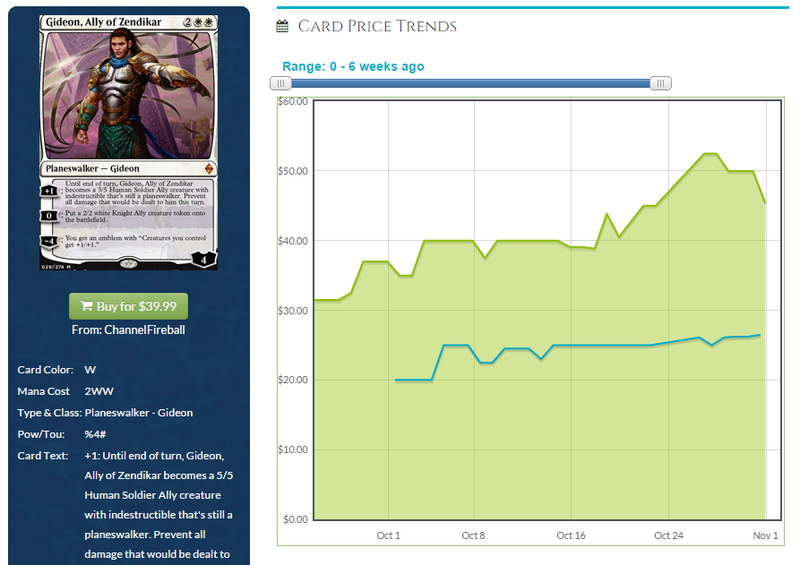 Competitive decks can cost thousands of dollars, amounts most players just can’t afford. Modern is supposed to be the cure, with relatively inexpensive cards that can be purchased without the threat of rotation. Bannings have been commonplace thus far, making it certainly less stable than Legacy. This emphasis on Modern has caused prices to skyrocket. And nowhere is this more noticeable than in the price of the manabases. 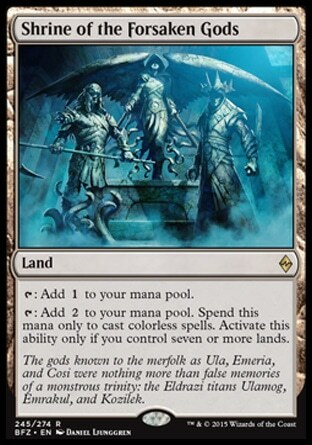 Return to Ravnica and Gatecrash have offered us reprints of the shocklands, but as those prices drop, fetchlands – their partners in crime – continue to increase with no end in sight. 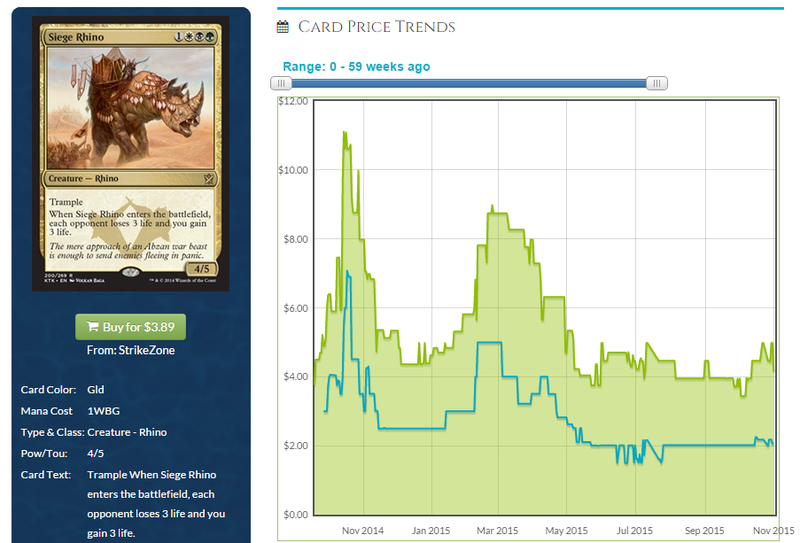 At the end of October 2012, prices of the “blue fetches” from Zendikar, Misty Rainforest and Scalding Tarn, increased dramatically. Mid-October the average price was $15; by the end of the month it had risen to $30. Currently, the average price for a Misty Rainforest is above $35. The other Modern-legal fetches are catching up. Verdant Catacombs climbed to just under $30 this week. Arid Mesa and Marsh Flats are over $25. 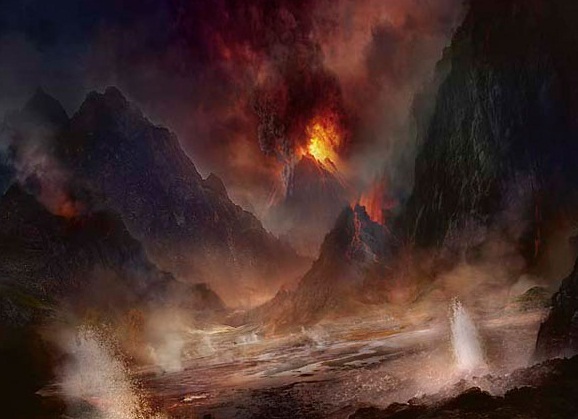 For players hoping to build a Modern deck, the savings on shocklands from the most recent block is more than overshadowed by these increases. It’s important to note that the release of Modern Masters this summer will only serve to continue to drive up these prices. The announcement for Modern Masters stated that cards printed originally in Eight Edition through Alara Reborn would be eligible to be reprinted in this special set. As players get their hands on high priced staples like Tarmogoyf, they are certainly going to start building new Modern decks. 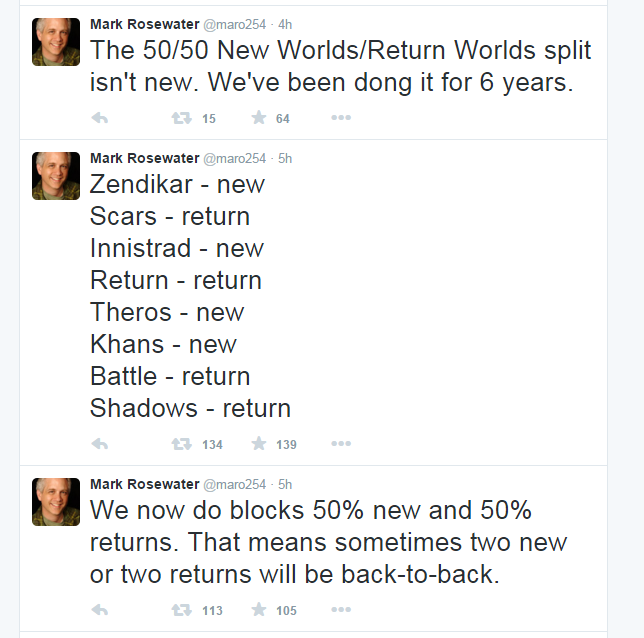 Unfortunately, Zendikar falls outside of this timeframe. It would appear that, barring a new set that returns us to Zendikar or a Modern Masters 2, no increase in supply will be available to offset the increase in demand that is surely coming our way.